This tee shirt Tom Waits All Star Converse is fashionable and print custom shirt in Desains Store. 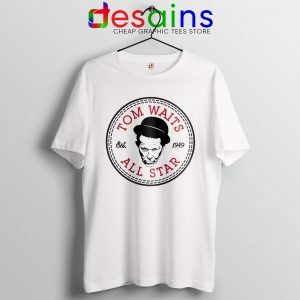 Tee Shirt Tom Waits All Star Converse Hot top featuring gildan tshirt is the cutest and most trendy way to emit all those important, powerfull Cheap Graphic Tee Shirts. 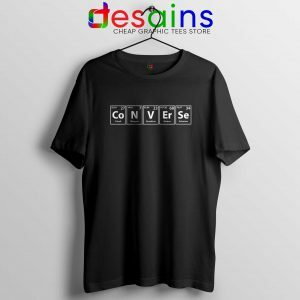 This 100% cotton, preshrunk t-shirt is super comfy and customize-able as a regular length t-shirt, a regular length t-shirt with a center tie. 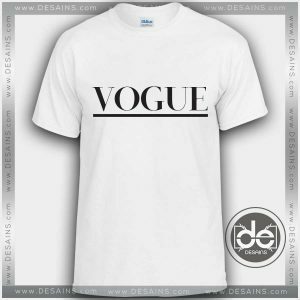 Tshirt designed and painted according to your wish please feel free to make suggestions about the color of the shirt. We can gladly paint the design smaller or bigger than usual for you. 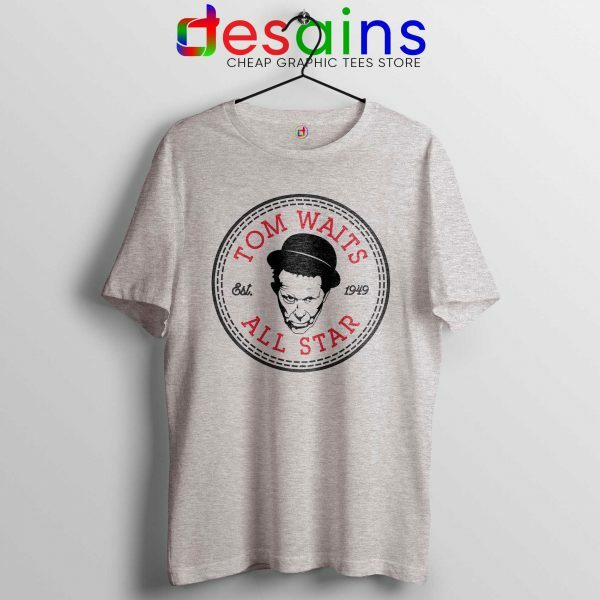 These Tee Shirt Tom Waits All Star Converse are a unisex fit. 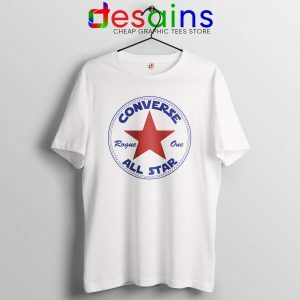 They are straight through the body and true-to-size; however, the size you choose depends on the fit you prefer.The sizing chart is the last picture in the listing. Please remember, designs are shown as computer mock-ups. Designs are back-lit by your monitor, actual colors and placement may vary.Please contact me if you have any questions about fit. I can send you photos of me in the size I prefer (small) and the size up (Medium). Tshirt measurements are in inches. Chest measures across the front of the chest from armpit to armpit, not all the way around. Items Tee Shirt Tom Waits All Star Converse ship from the US and come with USPS tracking information. It is the customer’s responsibility to monitor tracking and to contact USPS for issues with addresses or delays in transit. We are not responsible for items delivered to incorrect addresses or items marked as delivered as per USPS. 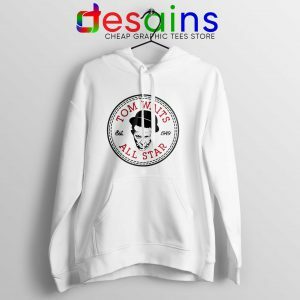 If you’d like a refund, we will ask you to ship the item back to us and we will promptly refund for the cost of the t-shirt upon receipt. 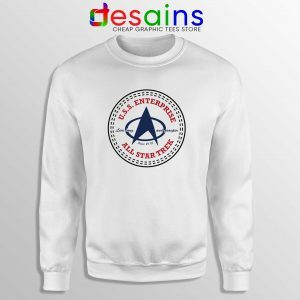 Due to the nature of customized orders, we can not accept refunds or exchanges for items that were made just for you. 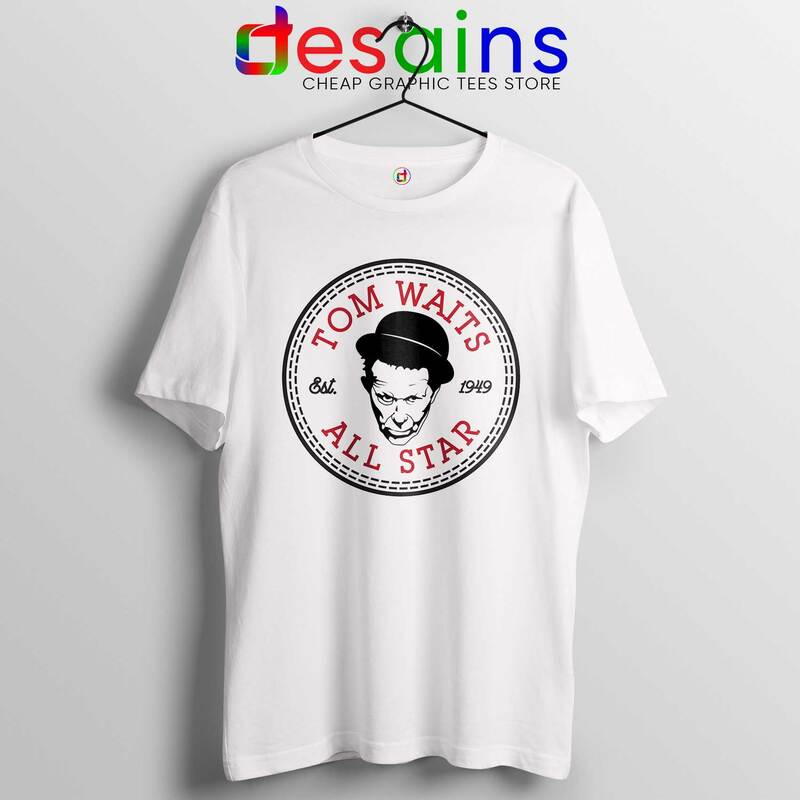 Please message us beforehand if you need help with sizing for your custom order Tee Shirt Tom Waits All Star Converse.